Posted on December 11, 2008 by Monsieur K.
There’s a tremendous amount of musical activity in the San Francisco Bay Area right now, more than one person can keep up with. On a recent Saturday evening, while Evan Parker appeared with pianist Greg Goodman in Berkeley at the opening of a series of performances celebrating thirty years of Woody Woodman’s Finger Palace, the “XXXth WoodTenniel,” across town in Oakland there was a new presentation of Tom Djll’s “politically expedient musical” Mockracy featuring no less than twenty stellar local improvisers. On the following evening, while I was joining the trio Wiggwaum for a show at San Francisco’s Hemlock Tavern, Mockracy continued in Oakland, and Gino Robair mounted an encore performance of his opera I, Norton at SF’s Community Music Center. There were also performances at the Musicians Union Hall in San Francisco presented by Rent Romus and Outsound and at Studio 1510 in Oakland. Two days later, when guests Paul Lytton and Nate Wooley joined Mills composer-in-residence Fred Frith for a collaboration at Oakland’s 21 Grand, the show was followed by an after-hours event at the nearby Uptown Club by the quartet that appears on the CD Jus. This is all to say that while my intention is to alert you to some of the wonderfully fresh sounds happening in the Bay Area, what I have to share with you is by no means exclusive. 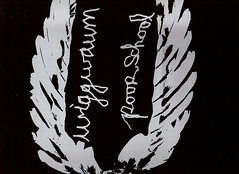 Poor School / Wiggwaum (Killertree Records) is a first release by two distinctive trios in a combination LP and CD. 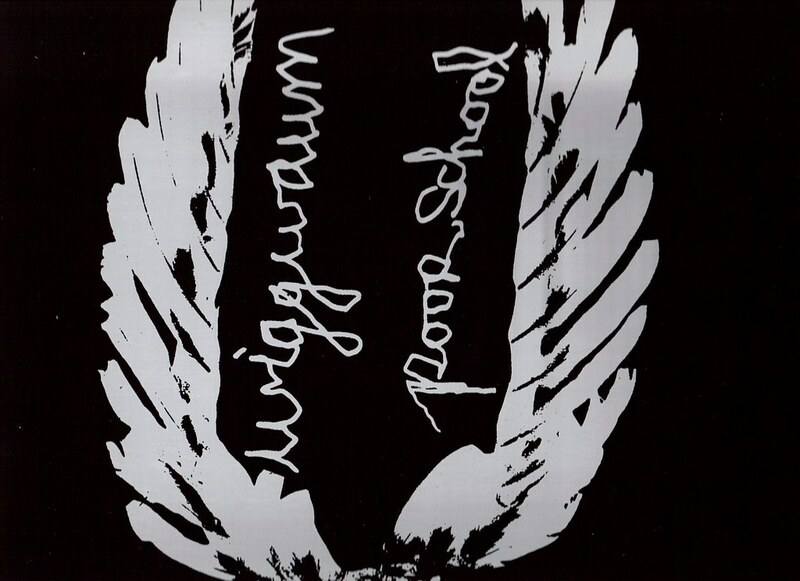 Poor School is Bryan Ramirez – electric guitar, Nathan Hoyme – reeds, John Niekrasz – drums. Wiggwaum is Randy Lee Sutherland – drums, Douglas Katelus – Fender Rhodes electric piano, Loren Means – amplified trombone, flute, and voice. 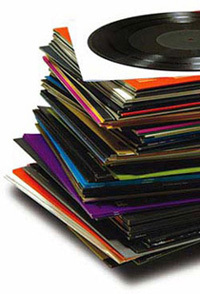 One continuous side of the LP is Poor School, the other Wiggwaum; the enclosed CD features the LP material in digital format along with an additional track by each group. 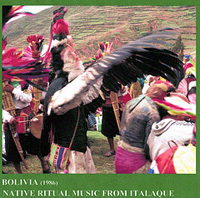 The playing is high-intensity throughout, though there are fundamental differences in each group’s musical approach. I’ve come to think of their respective approaches as symbolic of something like post-nuclear morning and evening ragas. Poor School will wake you up and not take you down. Their modal and thickly drone-based song is awash in a sea of harmonics. Their music seems like a throwback at first, but it’s only that there’s a timelessness at the spiritual core of it. Ramirez’s high-strung electric guitar pyrotechnics most often take the lead in the trio’s rock-solid amalgam of ecstatic psychedelic jazz. Wiggwaum shapes sound inside a nebulous cone of white noise from outer space. Their music might change your evening or your life. 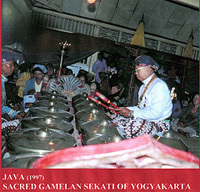 While its particles are made up of “real” sounds derived from real instruments, it is pushed to such a level of intensity that only a massive sound entity remains. Randy Sutherland’s drums loosely thrash, crash, explode, and dryly implode within the sonic mush. From Doug Katelus’ Fender Rhodes come jangly runs of Ra-like “cosmic tones” or warbly layers of static-y stratospheric dis-chords that shatter and whir upon terrestrial re-entry. At the center of the maelstrom are the distorted voice, feedback flute, and mutant trombone of Loren Means. You might recall Loren’s playing from Henry Kaiser’s Ice Death (Parachute 005). Loren’s new brass sound is like nothing you’ve heard, a muffled foghorn to guide approaching aliens. Combining crescendo-ing and decrescendo-ing globs of sound with Martian voice and Theremin-like feedback, Loren’s playing gives shapeless shape to Wiggwaum’s edgy next-age noise music. 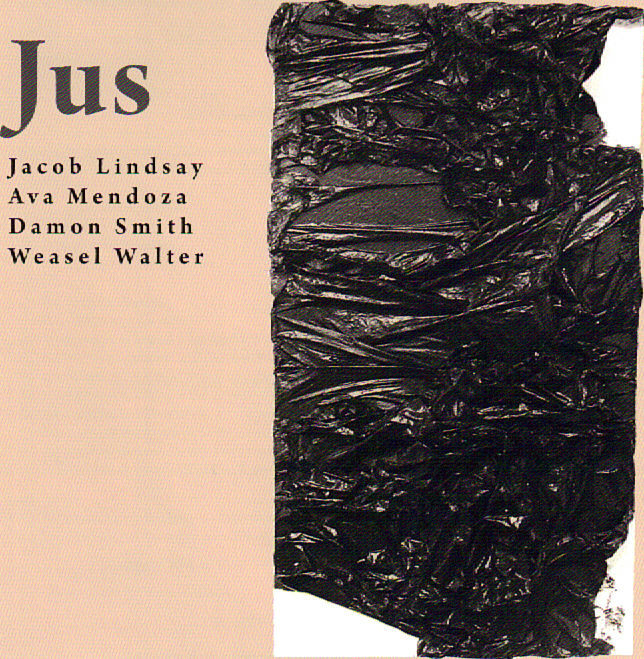 Jus (Balance Point Acoustics) is a quartet with Jacob Lindsay – clarinets, Ava Mendoza – guitar, Damon Smith – ergo string bass and lloop software, Weasel Walter –drums. Walter’s presence on the CD, along with enclosed instruction to play it “at high volume” has one thinking that this might be another high-propulsion free jazz blowout. But Jus offers music of another sort, something unique to itself. It is music that is continually probing beneath its own surface, extracting unassuming yet purposeful sonic core samples from its oceanic depths. The sounds are low-level, deliberately dynamically uneven, but occasionally something hard is struck, and there are loud explosive bursts and eruptions. If there is an antecedent for Jus’s musical approach, you might find it on “Translucency” where, at its most active, the music calls to mind that of the Music Improvisation Company of the early 1970s. Jus undertakes a total group approach to improvisation. Save for Jacob Lindsay’s short Giuffre-like clarinet lead that stands in high relief on “Discrete Flavor Symmetry,” there is little in the way of individual motivic development. Yet the music engages us because despite its lack of linearity, there is held tension in the lack of line itself, in the multiple little dramas that emerge in its intervallic spaces. 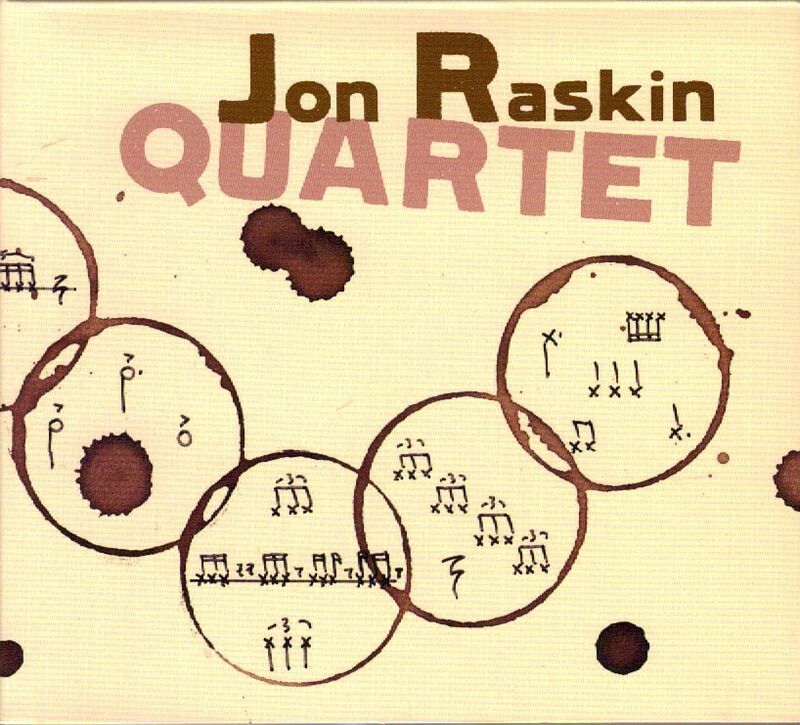 The Jon Raskin Quartet (Rastscan) features Liz Albee – trumpet and percussion, George Cremaschi – bass and electronics, Gino Robair – percussion and electronics, Jon Raskin – saxophones. There are twelve pieces of music, several based on specific-to-open graphic scores created by Raskin, others completely improvised. The musicians are well chosen for that task and for their adeptness at collective improvisation. In fact, there are no real solos in this music, only continually evolving group interplay of the highest order. Individual virtuosity is fundamental to the quartet’s contrapuntal improvisational approach, but it is tempered by musical necessity. What we hear in the music are lines and riffs, weight shifts, and textural openings. Any player may stand out at this moment or that, but the integrity of the music as a whole is what we hear. 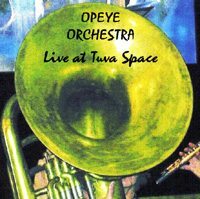 I also found myself thinking of certain music of Roscoe Mitchell’s or that of the early Art Ensemble of Chicago while listening to this CD, in the way the music devolves from line to pure sound and back again. It is interesting that in this context Gino Robair’s “deconstructivist” approach to percussion frequently leads directly back to the “little instrument” sounds of Mitchell and the AEC. 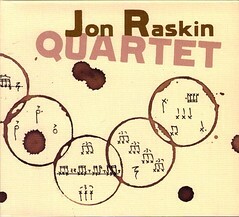 There are equally compelling contributions from Jon Raskin himself whose manner of understatement or of tonal pivoting can remind one of Mitchell; from the undersung George Cremaschi whose bold fibrous bass tone holds the music’s firm center; and from Liz Albee whose trumpet first conjures up Don Cherry, then whispers, growls, purrs, or can sound like an aggregate of children’s squeeze toys. 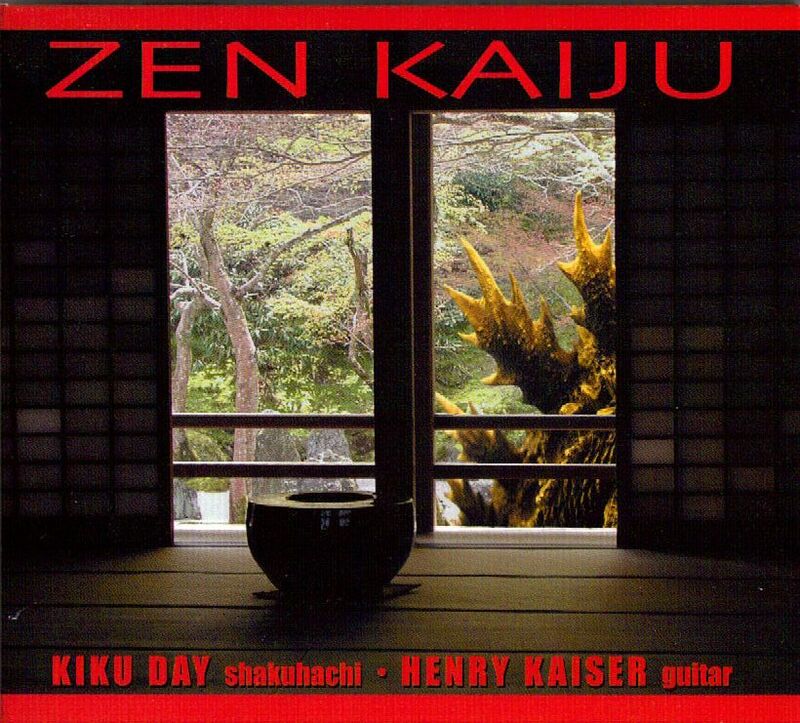 Zen Kaiju is an intriguing new CD featuring Kiku Day – ji-nashi shakuhachi, and Henry Kaiser – electric and acoustic guitars. When Henry handed me this CD, he told me he thought this was one of his best recordings ever of pure free improvisation. 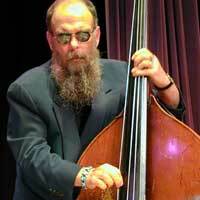 But what is at the core of free improvisation, and how are we to judge it? After all, free improvisation is only one method among many for creating music. But it is the most open method, one that suggests that while it is possible to play almost anything, what that “anything” is will be determined in the moment of musical transaction. The self that enters into and surrenders to such a methodology will not likely be the same self who comes out of it at the end. For what is built into that open way of creating is an inherent propensity for change, an opportunity on each and every occasion to renew and rediscover the self and the self in relation to others. The idea is not simply that the players should engage as musical chameleons but as full, present, and evolving selves. That is what Henry Kaiser and Kiku Day do masterfully on Zen Kaiju. 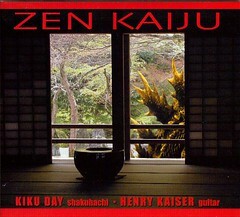 Kiku Day takes that most ancient of Japanese flutes, the shakuhachi, into new dimensions. Mindful of the still center of the instrument, she merges its traditional plaintive call with seeming electronic slivers of high-pitched sound, dynamic whooshes, breathy and growly wisps, mouth noises, strange percussive tongueings and tappings. 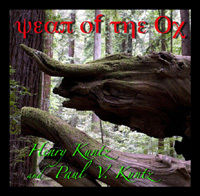 Henry Kaiser’s post-Bailey guitar slows down, becomes charged and evocative. He bends and alters his phrases, strums successions of stringy, twangy slack tones, flicks quick starry clusters of notes into incongruous orbit. On electric guitar, he holds in place big chunky motorboat chords; he sustains into infinity loud wavery-to-pure tones, cries, and wails that at times mimic Day’s shakuhachi. Henry Kaiser and Kiku Day — between them emerge moments of interactive clarity that reveal the essence of their musical personas. Their mastery of free improvisation is revealed. Previous PostPrevious Journey to Italaque Part IV.